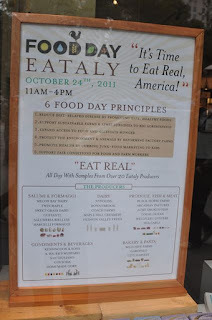 I had a ton of fun touring the city at lunchtime today, Food Day, the inaugural celebration of "real" food which will be held every year on October 24th. 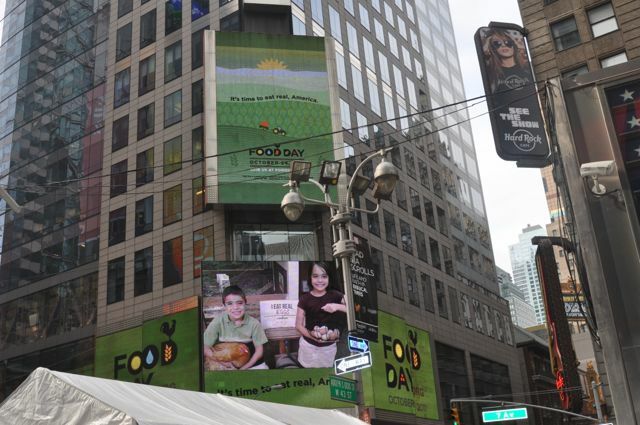 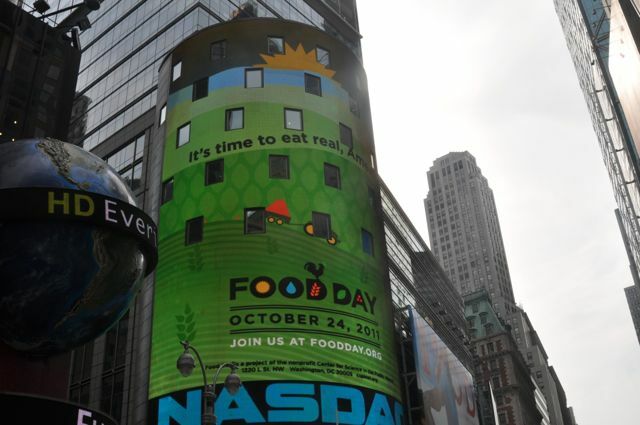 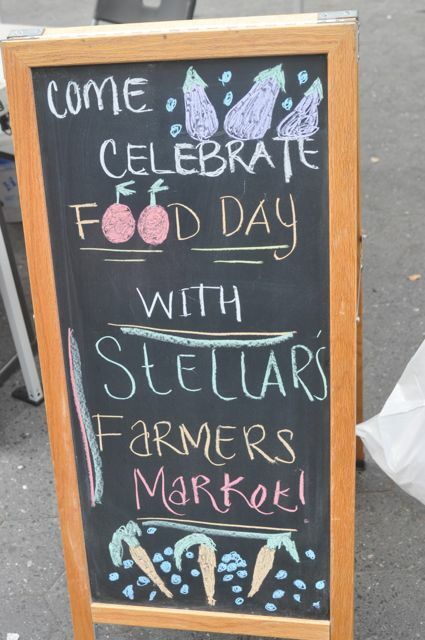 Food Day is kind of like Earth Day, which celebrated its 42rd year this past April 22, only a lot more delicious. 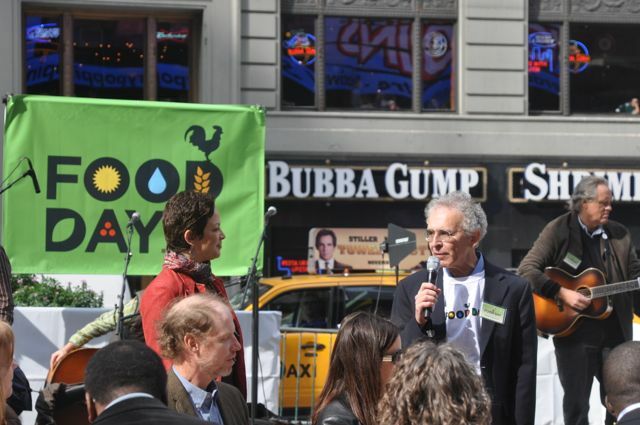 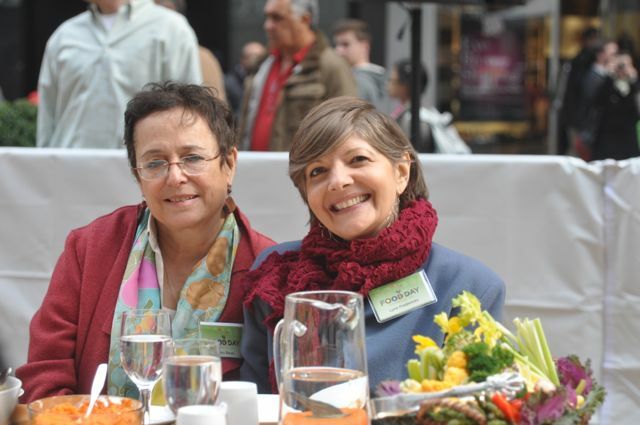 In the middle of Broadway's Times Square, Executive Director of Center for Science in the Public Interest and Food Day founder, Michael Jacobson, hosted a healthy lunch al fresco style for 50 chefs, food advocates, educators and public health/social marketing leaders who work hard every day to improve health, reduce obesity, teach children about food, protect the environment and cook delicious and real food. 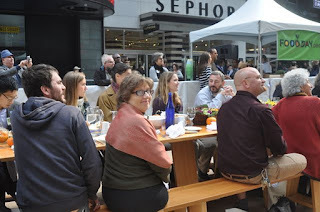 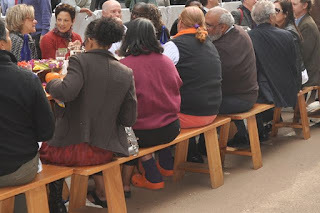 Over lunch, local grass roots food advocates and health officials mingled with food celebrities Mario Batali (who was tweeting like crazy), Morgan Spurlock, and Ellie Krieger. 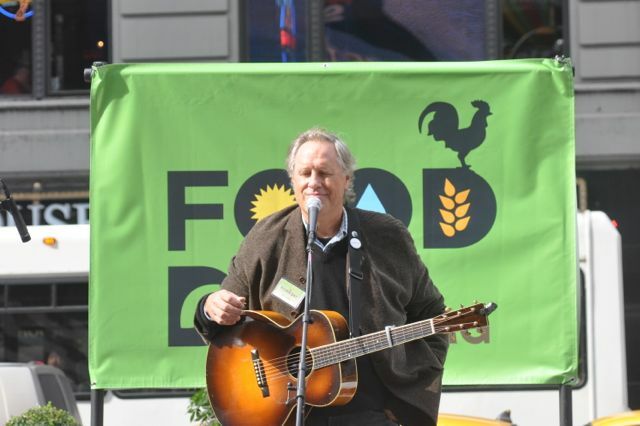 Tom Chapin, grammy winning singer/song writer/anti-hunger activist and, no doubt, a self-declared locavore with his new family-oriented album "Give Peas a Chance", sang for the growing crowd. Michael Jacobson, introduced Ellie Krieger who provided the recipes for the eat-in from her latest cookbook Comfort Food Fix. 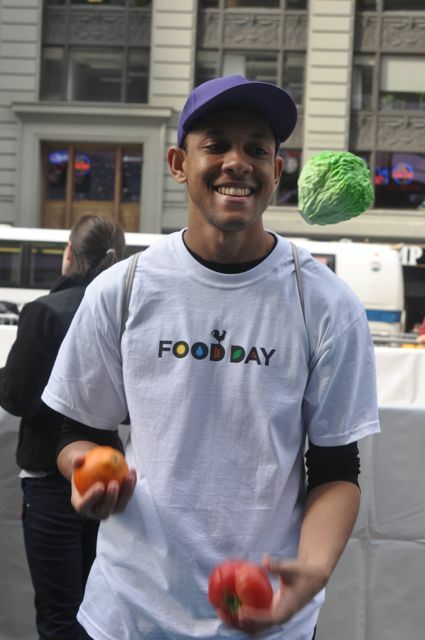 A produce juggler from Food Play Productions in Massachusetts, a theatrical food education program for kids, came to New York to entertain us with his cabbage, tomato and apple "juggle" (I'm was amazed by how easy he made it look). 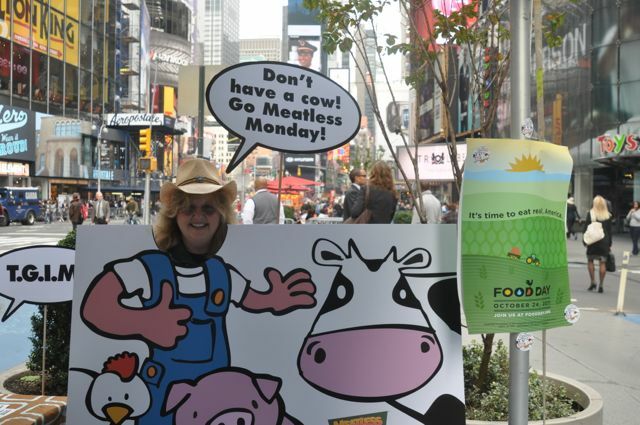 And, Meatless Monday created some fun with it's T.G.I.M. 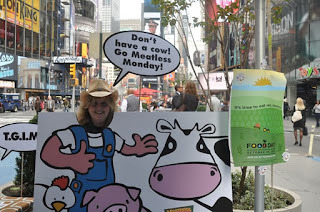 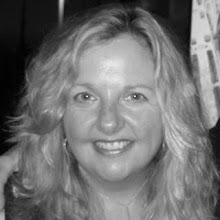 photo booth -- don't you love this shot of me in the middle of Times Square? 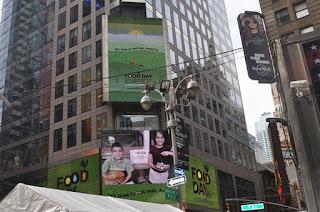 After talking to a bunch of folks and taking pictures at the Times Square event, my Food Day visit to Times Square was complete when I caught a glimpse of Batali in his signature orange Crocs. 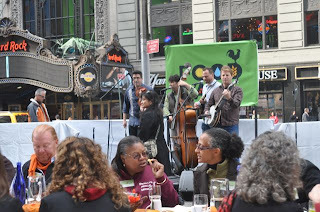 I headed down to Union Square Farmers Market where the energy was more focused on shopping than speeches. 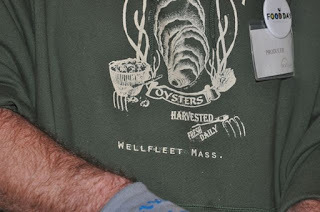 Then zipped up to EATALY to sample one of the most delicous (and salty) oysters I've ever tasted --a farm raised Wellfleet oyster harvested this morning -- before returning to the office for a hot cup of vegetarian split pea soup and an afternoon of work! All in all it was a great good food day!